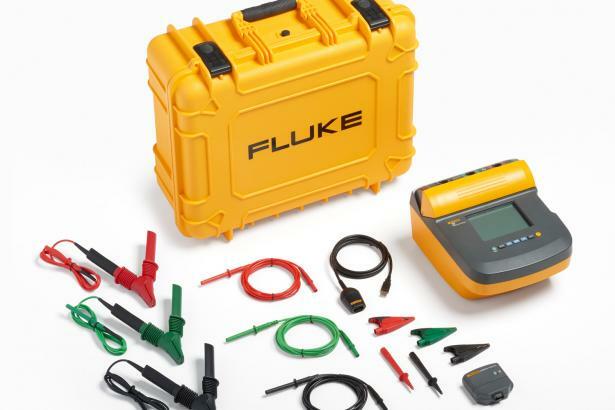 The Fluke 1550C insulation resistance testing kit offers digital insulation testing up to 5 kV. 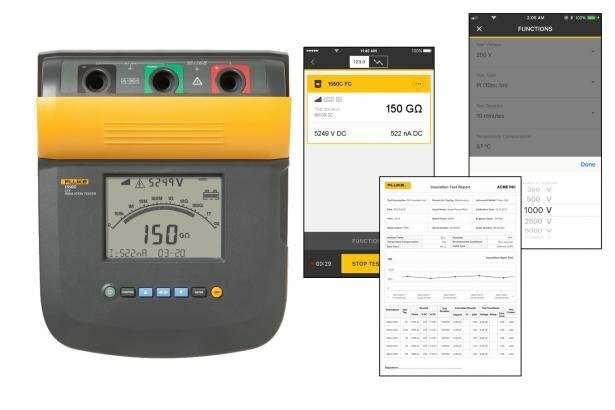 And with the Fluke Connect wireless app, you can perform tests and collect data from a safe distance. Remote operation lets you spend as little time as possible in potentially hazardous zones. Real-time trending shows a live graph on your phone, rather than a hard-to-read set of changing values. And you can create reports quickly, simply using drag-and-drop – something you won’t find anywhere else. 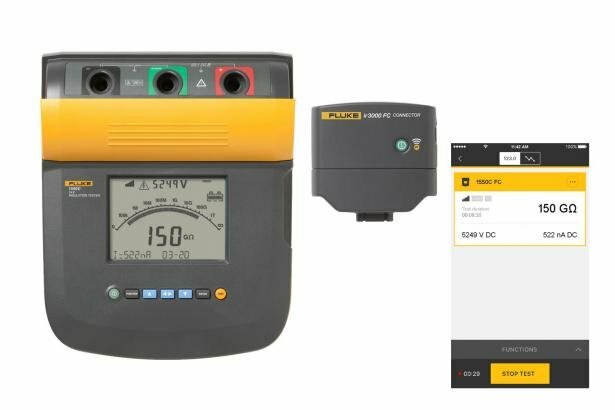 The 1550C Kit can now conduct the entire range of test voltages specified in IEEE 43-2000 with a best in class, 3 year warranty and CAT IV 600 V safety rating. 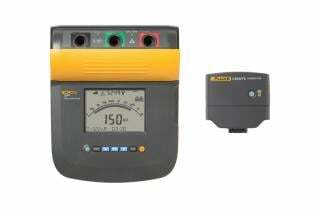 The tester's accuracy is specified for one year after calibration at operating temperatures of 0°C to 35°C. For operating temperatures outside the range (-20°C to 0°C and 35°C to 50°C), add ± .25% per °C, except on the 20% bands add ± 1% per °C. Software specifications FlukeView Forms™ basic software requires a PC running Windows XP, Windows Vista , Windows 7 or Windows 8. 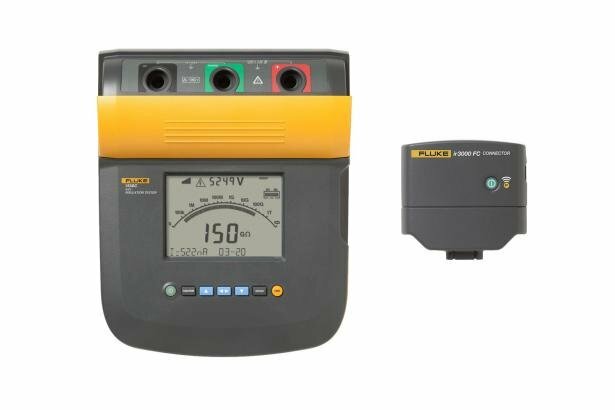 This Class II (double insulated) instrument is supplied with a Class 1 (grounded) power cord. The protective earth terminal (ground pin) is not connected internally. The extra pin is for added plug retention only. Safety compliance IEC 61010-1: Overvoltage category II, Pollution Degree 2.